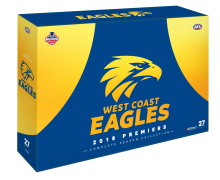 This incredible West Coast Eagles DVD box set includes all 25 games including rounds 1-23, All Finals Matches, AFL 2018 Grand Final on DVD and Blu-ray and the Season Highlights DVD. Includes every game the Eagles played in 2018. That's 26 DVDs and 1 Blu Ray. That's around 60 hours of Eagles viewing in this limited edition box set. All the action from the Premiers unforgettable season! West Coast Eagles are AFL Premiers once again following their dramatic victory over Collingwood in a match for the ages! Heading into the 2018 season, few would have expected the Eagles to be challenging for silverware, but the Western Australians have confounded fans and critics alike with a second-place finish on the AFL ladder followed by a famous Premiership! Relive all the highs from this miraculous season with the ultimate collectable; every match in full, including the historic Grand Final on DVD and high-definition Blu-ray, and Season Highlights program. 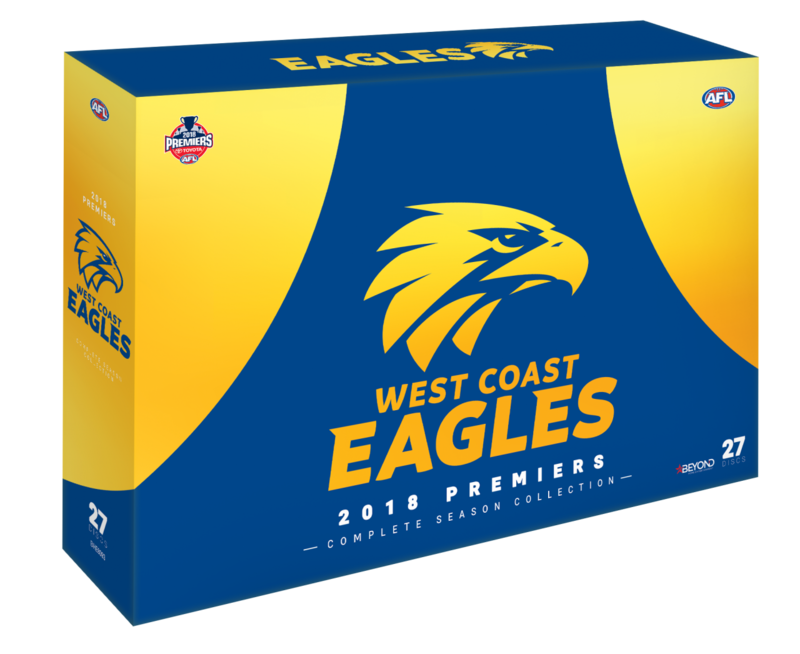 Click the button below to add the AFL Premiers 2018 Complete Season Collection (DVD / Blu Ray) to your wish list.